I was using my Galaxy Nexus for some turn-by-turn navigation today and it was an odd experience. Half the instructions spoken by the Navigation app were in a typical synthesized voice, while the other half were in a chipper, natural sounding voice. It's become fairly clear that HP is not webOS' savior. It's also unlikely that webOS can come back from the dead for the second time. But it makes me sad, since webOS and its devices hit a sweet spot that no one managed to exploit. 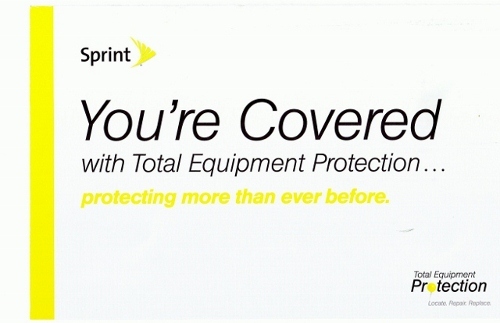 I got this flyer from Sprint. I wonder if they wrote that "protecting more than ever before" with a straight face or what. 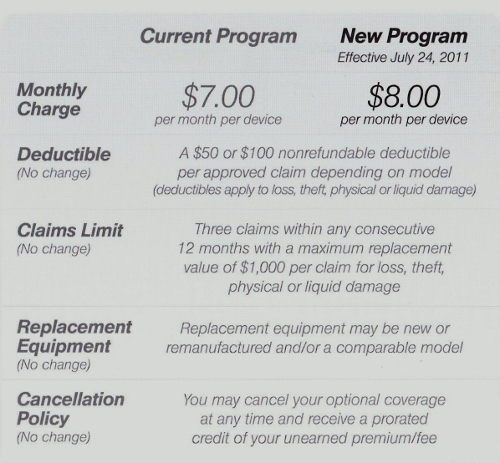 So shortly after crowing about how cheaply I was getting cell phone service, I've sailed headlong into the rocks of an \$80 a month smart phone plan. In spite of all the Android buzz of late, I went with the Palm Pre.